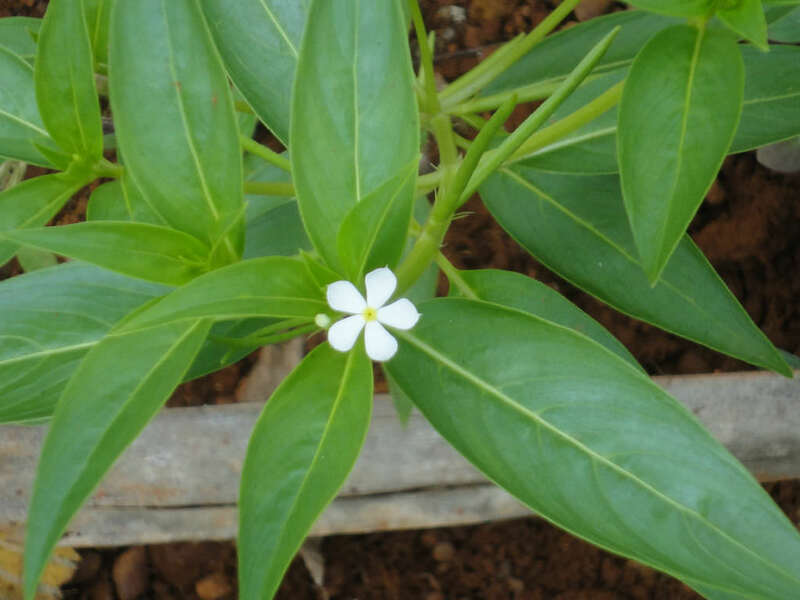 Catharanthus pusillus is a small, erect, annual herb up to 8 inches (20 cm) tall, with several quadrangular branches, spreading from the base. 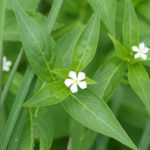 The leaves are oppositely arranged, lance-shaped, up to 3.2 inches (8 cm) long, with rough margin. 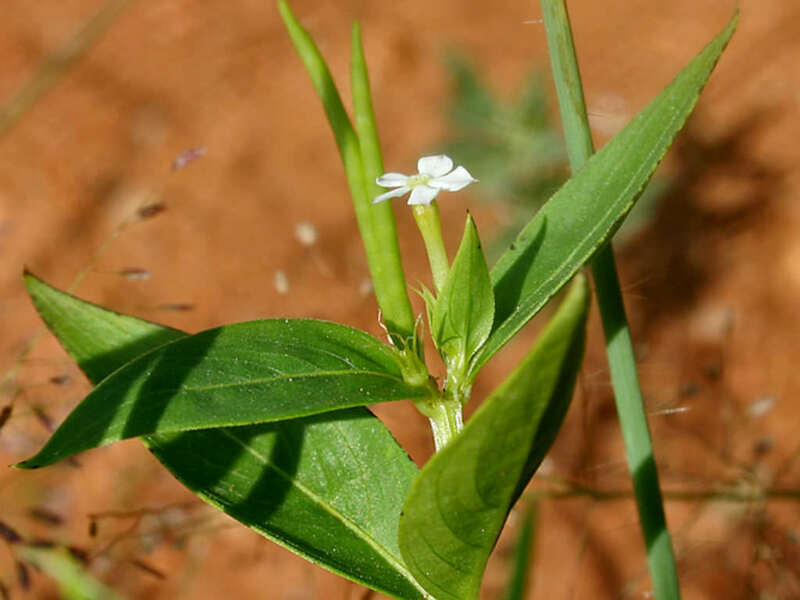 The leaf base narrows to a tiny stalk. 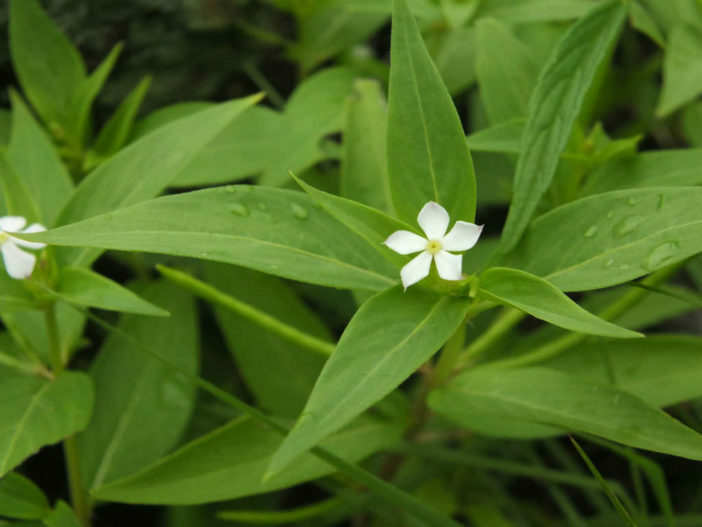 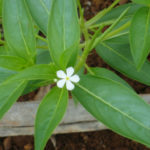 The flowers are small, white, periwinkle-like and appear singly or in pairs, in the upper leaf axils. 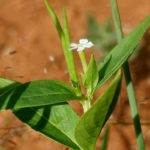 They are tiny, up to 0.3 inches (8 mm), flat, with 5 petals. 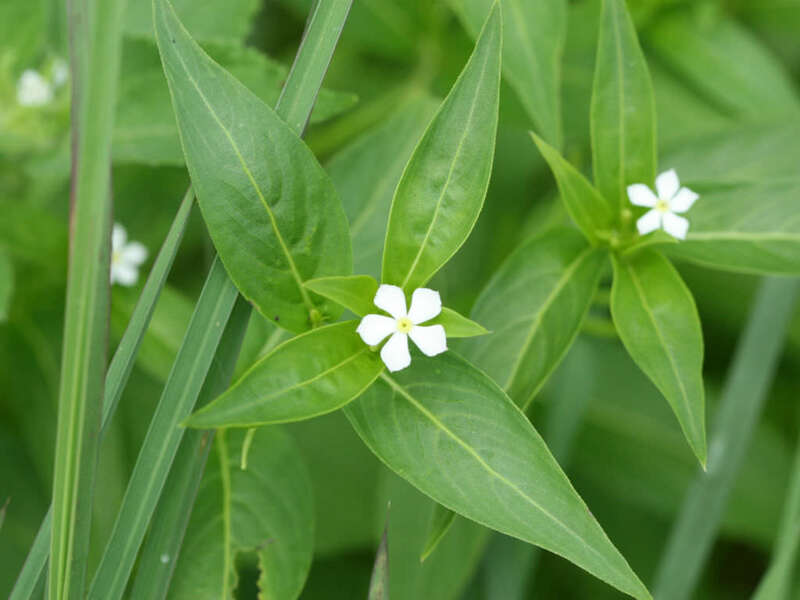 The seed pod is very slender, up 2 inches (5 cm) long, straight, pointed.